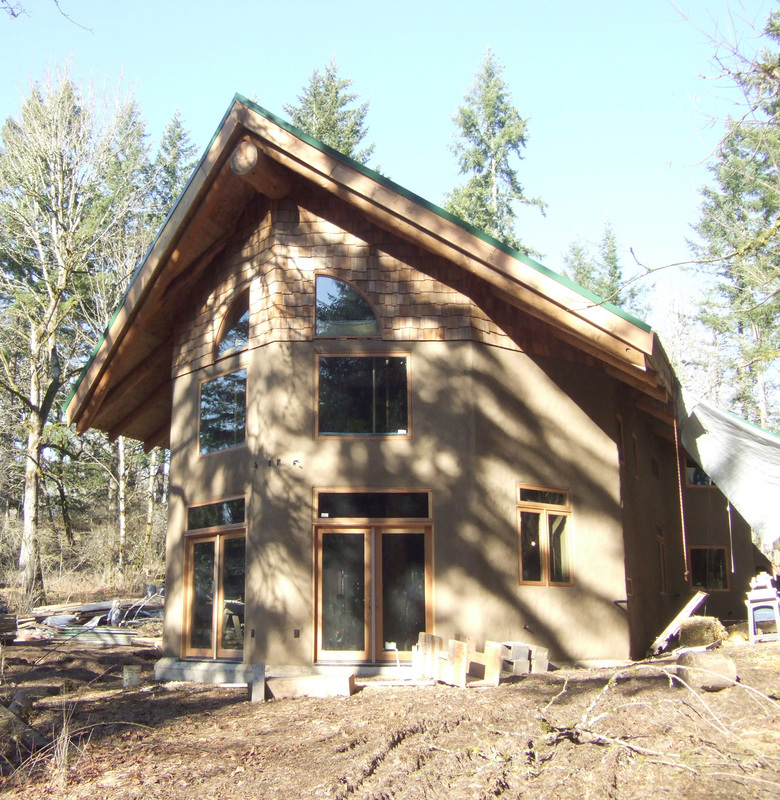 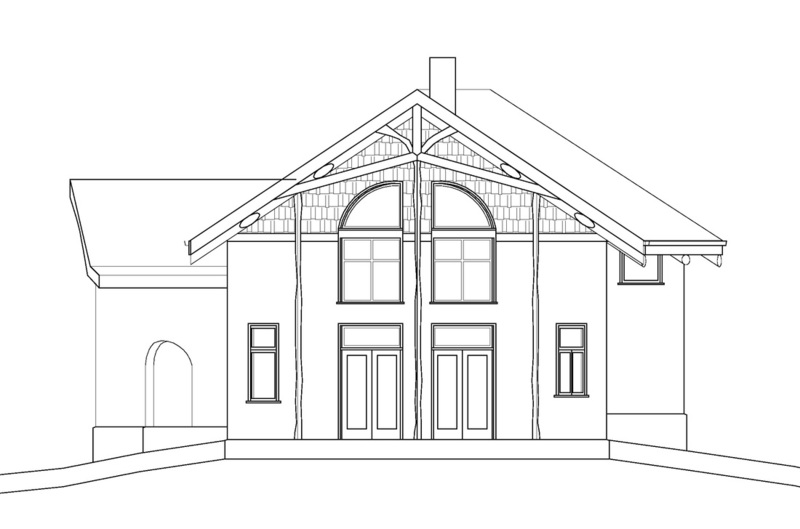 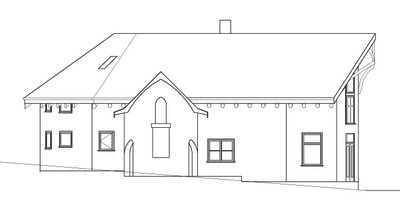 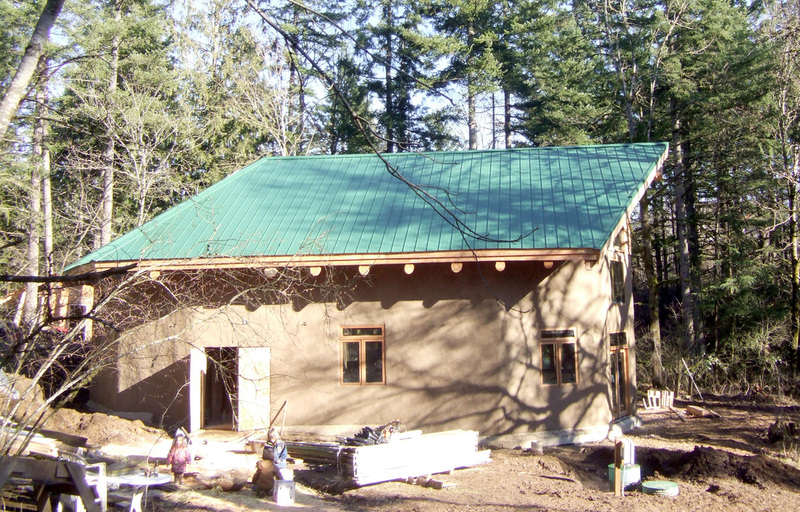 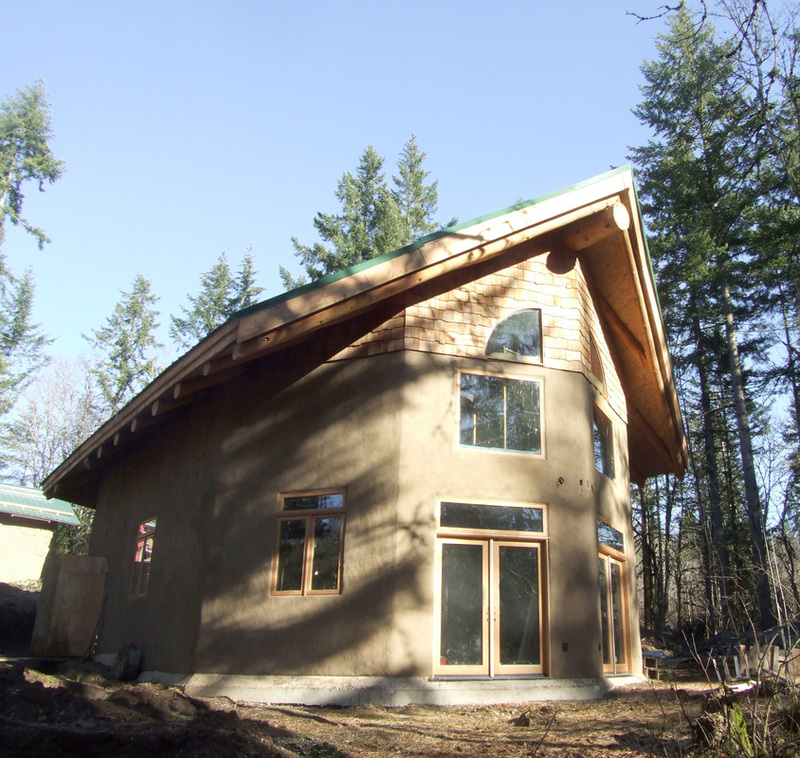 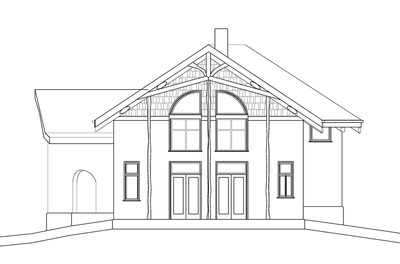 The first straw bale project in Clackamas County is a two-level, three-bedroom home that sits on a nine-acre forested site. 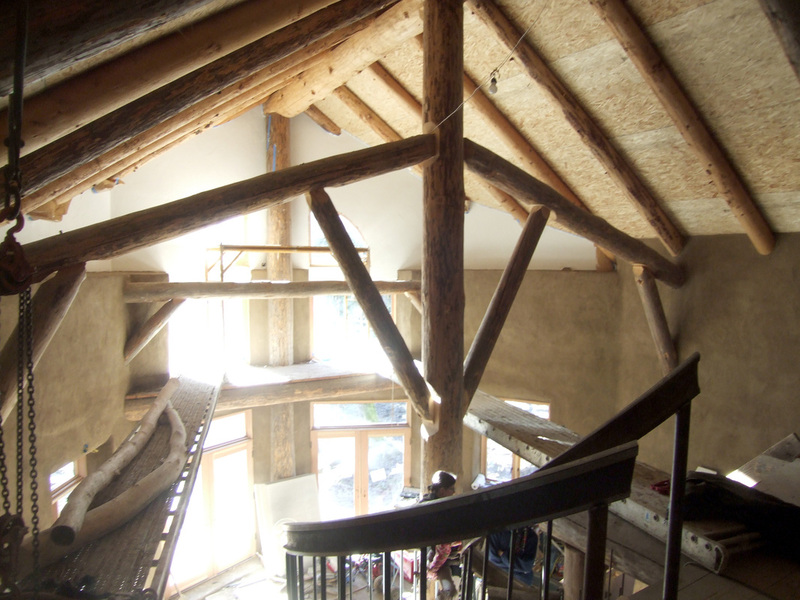 This spectacular, highly crafted project features a very innovative "tree form" timber frame, pre-built and reassembled on site, and so many locally-sourced natural and recycled materials that it far exceeds the LEED Platinum rating standard. 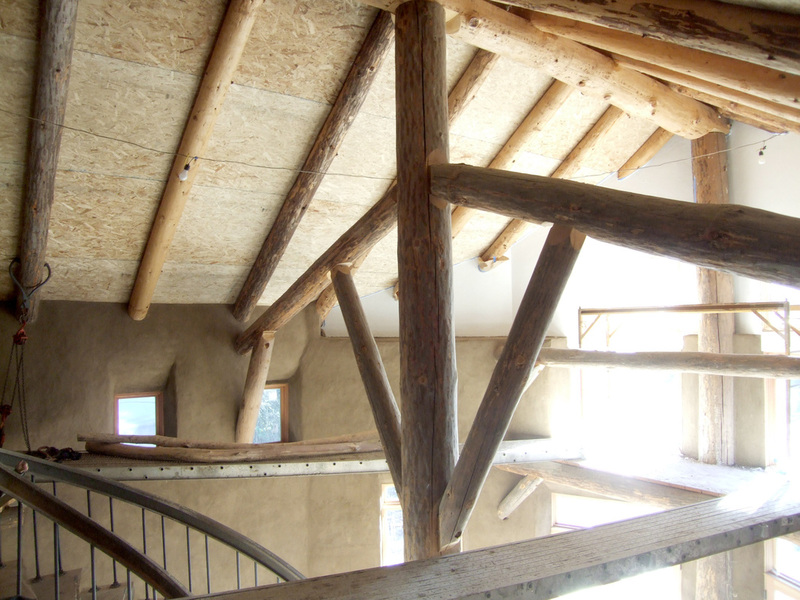 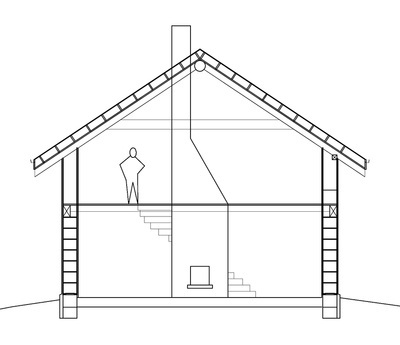 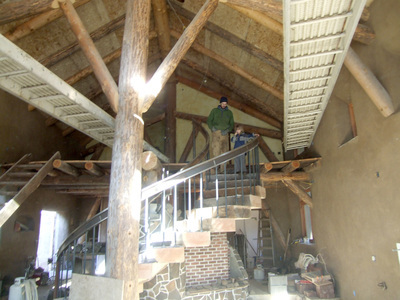 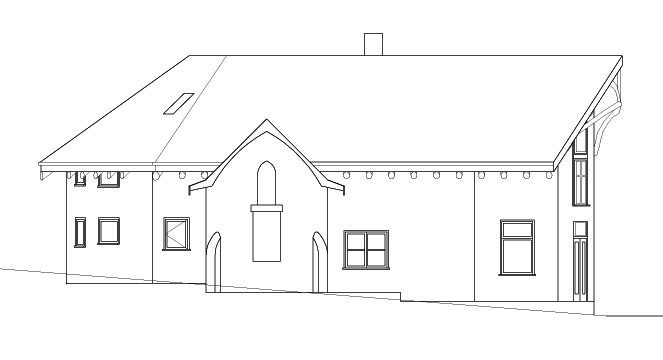 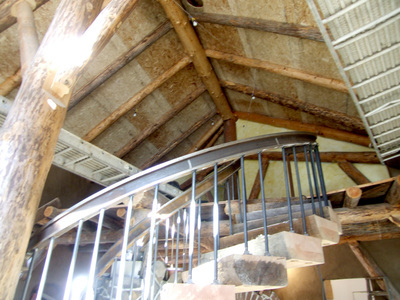 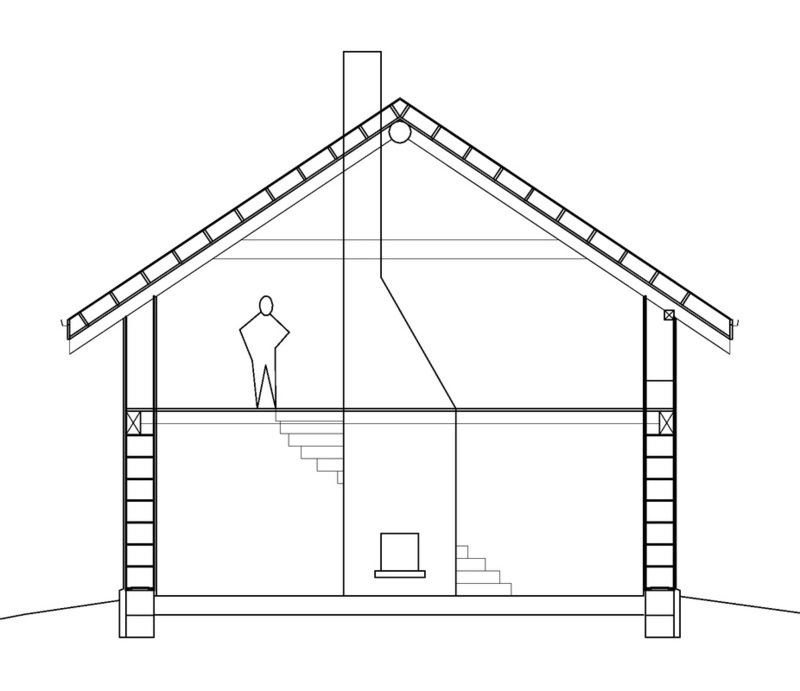 The timber for the structural frame was harvested entirely on site, and all of the clay for the wall plaster was sourced from the foundation excavations. 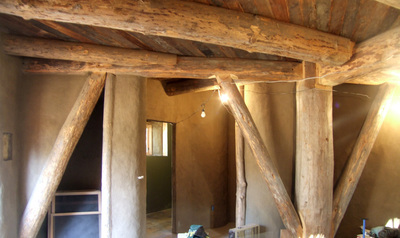 Other innovative features include radiant earthen floor slabs, water catchment systems, straw clay interior walls, recycled solid steel railroad rails curved to support a central spiral stair, a super-efficient Russian Hearth, Energy Star appliances, and natural cob plaster surfaces inside and outside the home.